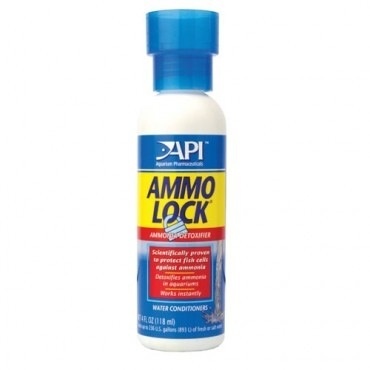 Aquaria AP AMMO-LOCK II 4OZ - Rick's Pet Stores Inc.
Works instantly, in fresh or saltwater, to detoxify ammonia, remove chlorine and break the chloramine bond. Eliminates stress and protects healthy gill function. 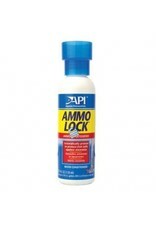 Locks up ammonia in a non-toxic form. Effectiveness and safety proven by university laboratories.